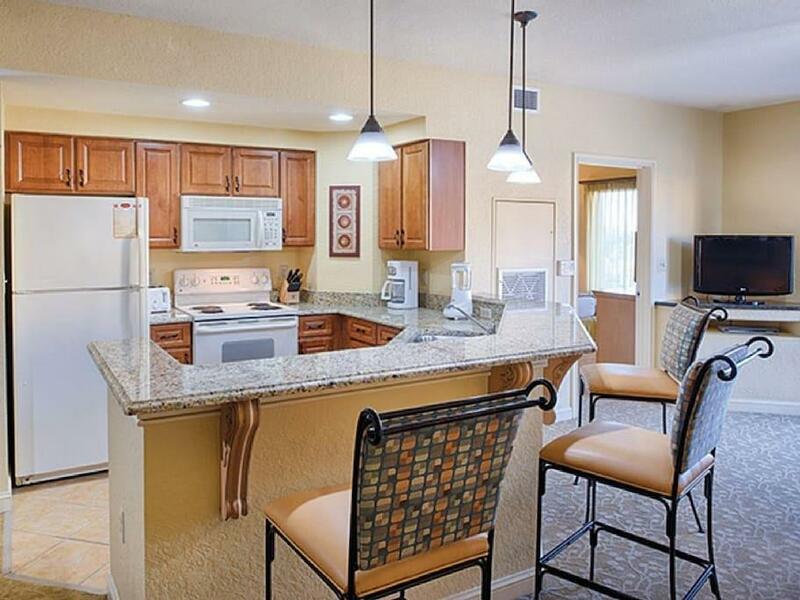 ﻿ Orlando Bonnet Creek by ResortShare, Orlando (FL) - SAVE ON AGODA! 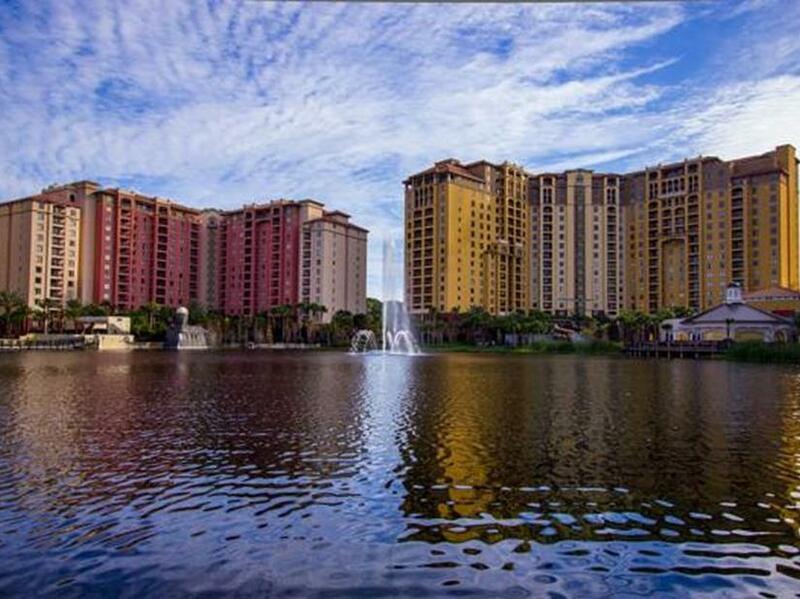 Have a question for Orlando Bonnet Creek by ResortShare? "We arrived at the resort and it is gorgeous!" "The grounds are well kept, the pools and trails are beautiful and the staff is so kind!" 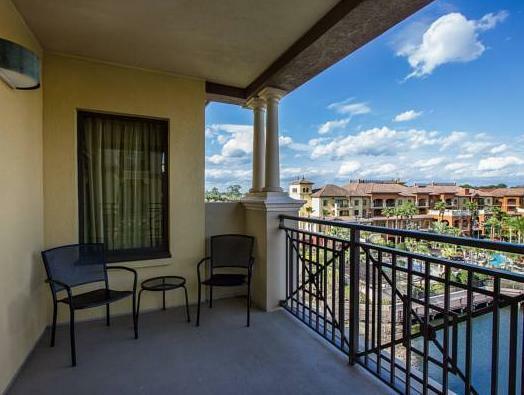 "WOULD STAY AGAIN VERY NICE CLOSE TO EVERYTHING"
Conveniently located in Orlando (FL), Orlando Bonnet Creek Resort is a great base from which to explore this vibrant city. From here, guests can enjoy easy access to all that the lively city has to offer. Visitors to the hotel can take pleasure in touring the city's top attractions: Singapore Sal's, Disney's Hollywood Studios, Disney-MGM Studios. Offering hotel guests superior services and a broad range of amenities, Orlando Bonnet Creek Resort is committed to ensuring that your stay is as comfortable as possible. 24-hour front desk, facilities for disabled guests, luggage storage, Wi-Fi in public areas, valet parking are just a few of the facilities that set Orlando Bonnet Creek Resort apart from other hotels in the city. In addition, all guestrooms feature a variety of comforts. 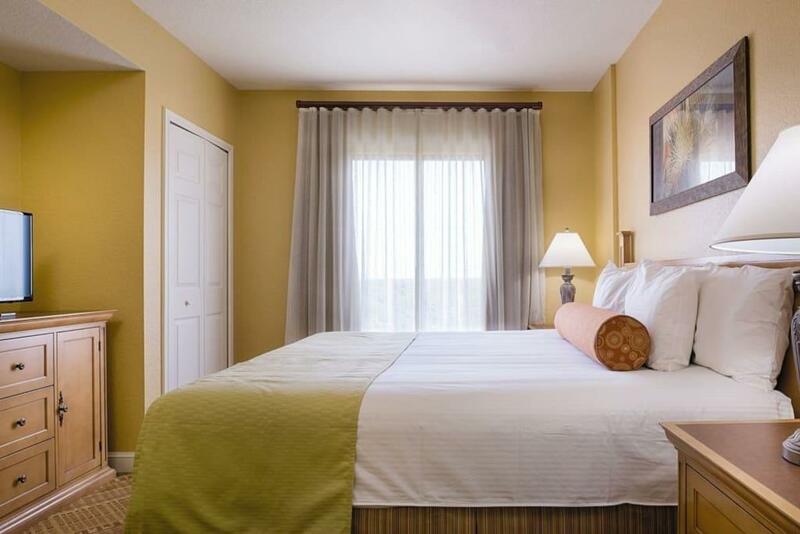 Many rooms even provide television LCD/plasma screen, carpeting, internet access – wireless, whirlpool bathtub, air conditioning to please the most discerning guest. The hotel's recreational facilities, which include hot tub, fitness center, sauna, outdoor pool, children's playground are designed for escape and relaxation. Orlando Bonnet Creek Resort is a smart choice for travelers to Orlando (FL), offering a relaxed and hassle-free stay every time. Stayed in a three bedroom with six adults and two children and found it to be comfortable and spacious. The staff was excellent ....every time we needed something they would bring it within 15 minutes . Lazy river pool was great fun. Will definitely plan to stay there again with the whole family on my next visit to Disney. Property was very well maintained and clean. Staff was helpful and friendly. Our stay was a great value. We enjoyed staying here, for the most part. Our room was huge and very well priced. It was the cheapest 2 bedroom suite we found near Disney. Loved having the kitchen. The only issue was that we didn’t have a car, and it was difficult to get around to the parks and such. The shuttle service was laughable. We wrongfully assumed they would have shuttles running to the parks every 15 minutes or so, like other resorts. It’s more like every 1.5 hours, if that. One day we wanted to go to Disney Springs, but the shuttle didn’t start until 5:30pm. And it costs $8/person. We ended up having to take Uber everywhere, which was expensive. Probably would’ve just rented a car had we known the shuttle was so unreliable. Also the food at the resort wasn’t great, but we only had a few meals there so oh well. We had groceries delivered which worked out well. Overall, though, the pools were amazing, our room was near perfect, and the grounds are gorgeous. We loved feeding the koi fish! This was my first booking with Agoda and I was a little hesitant because the deal was almost too good to be true! We arrived at the resort and it is gorgeous! The grounds are well kept, the pools and trails are beautiful and the staff is so kind! We only spent 2 nights there but you could spend a whole day just at the resort at the water slides, pools and restaurants. Our suite was very spacious and tidy. I highly recommend! I found this deal at Agoda and the price was amazing. 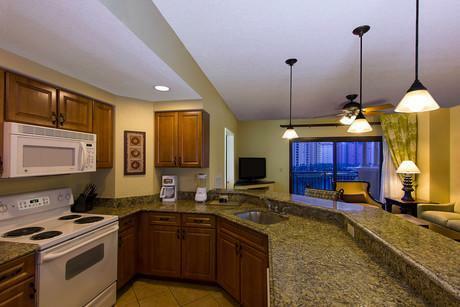 This resort was located in the center of Disney world and 10 minutes from Sea World too. It had its own pool, playground, lazy pool, Jacuzzi, and walking trail. I would definitely stay again. Great rooms! Nicest gate crew ever, especially Miss B! Everything was clean and tidy. Glad we found this place. Everyone was very helpful. It was difficult to get towels every time we went to the pool. That is my only complaint. Everything else was amazing. Thank you for a great vacation. Stayed in 3 bedroom suite in Tower 6. Newly refurbished room. Very clean, comfortable beds & large rooms. I would book again next year - Room 6520 is fantastic. Please have owner contact me directly at roy.reinke@gmail.com. Thank you!! Could not get desk to answer phone when there was a problem. Very good Resort. The apartment was very clean and spacious and had everything you would need. One thing I would like are umbrellas around the pool area over the sunbeds. There were one or two where the tables and chairs were but with the intense heat in Florida it's an absolute must to have an umbrella while lying on a bed after a swim. People can choose then whether they use them or not, but it is very dangerous not to have some shade. There was a mix up with our room being one day short which was due to a third party we had booked with and we didn't find the staff at reception at all helpful in helping us to sort it out, they just left it to us and my partner and I are in our seventies so we felt completely overwhelmed. I would hope that I myself would be more helpful if someone visited my country with a problem, ie England. Otherwise couldn't fault the resort. I had to wait almost half hour just to check in. They dont provide guest service (toom cleaning etc) if your stay is less than 7 days. You are supposed to clean your room yourself. Its a family friendly property with some water activities available on site. I would rate my experience 7.5/10.